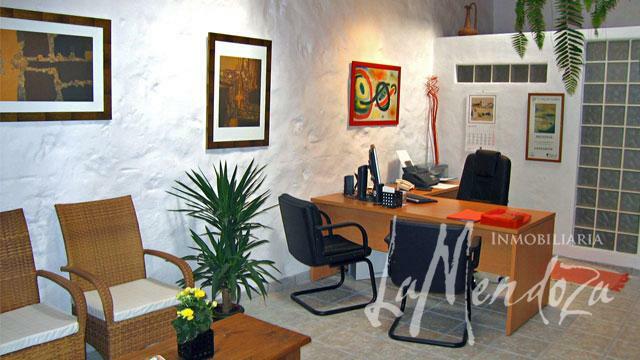 La Mendoza is an established Real Estate office in the village of Macher, having specialized, for many years, in villas and fincas situated in country locations. However, we offer properties throughout the island, including all the holiday resorts. 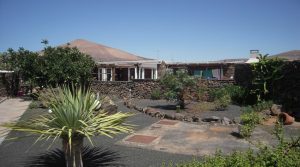 La Mendoza is run by Angelika Oberländer who has worked in real estate for over 25 years – and more importantly, working on Lanzarote for over 20 years. 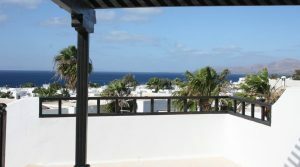 In other words: Angelika knows the real estate market in Lanzarote inside-out and all clients are in the happy position to benefit from this in-depth knowledge and experience. Angelika works with a team of allied services to provide a seamless and trouble free process. In addition to the ‘technicalities’ of the business the main strength is in our ‘client care’ during and after the transaction. We know from experience that purchasing a property in a foreign country can be quite an unsettling undertaking, and here we do everything to make it as easy, smooth and transparent as possible for you. Our aim is to find your ‘dream-house in the sun’ and we are committed to providing you with outstanding customer service. If you would like to know more about the La Mendoza service please go to Purchasing a Property where you will find more information on this subject. La Mendoza is also committed to the interests of our vendors and if you would like to sell your property please go to Selling a Property in Lanzarote for further information. Please have a look at the wide selection of properties and if I can be of any assistance or you simply want more information, please contact me by e-mail, send a fax or simply pick up the phone. Unique villa in a quiet residencial road in the heart of Puerto del Carmen and with superb views of the sea, the mountains and Fuerteventura.